UNAVSA wishes you great fortune in the Year of the Horse! Chuc mung nam moi, chuc ban vui ve va phat tai! As Vietnamese-Americans we are fortunate to have two new years to celebrate and two chances to start anew! Hope 2014 has started out well for all of you and that it finishes even stronger. We are so grateful for all your hard work and dedication to our organization and hope to make 2014 year another step forward for all our partner groups and blossoming projects. Save your li xi to come to Dallas with us this summer! Happy new year to you all and your families. May you year be prosperous and filled with many smiles. Chúc mừng năm mới! I would like to tell everyone, “Chúc mừng năm mới!” As we embark into the new year, we bring in the old bonds and create new memories with new faces. Wishing you a prosperous new year! Thank you all for refreshing my drive to be more involved in the community. Remember to allow your spirits and passion soar freely—also, spend your li xi very wisely. 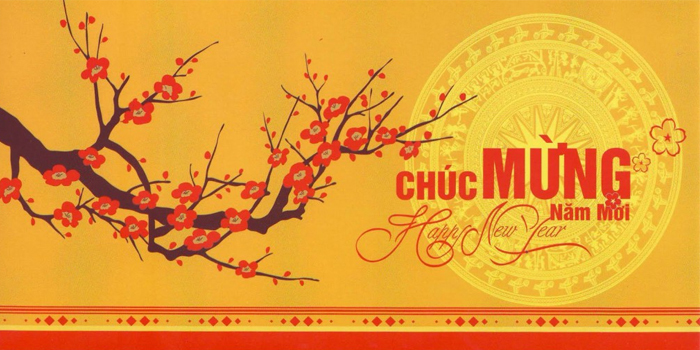 My favorite time of the year, “Chúc mừng năm mới!” Best wishes for the Year of the Horse! Năm mới con chúc bạn bè dồi dào sức khỏe, vạn sự như ý (I practiced this all day)! Tết is one of my favorite times of the year to spend with close friends and family, and I am happy to experience the spirit of this holiday year-round with my UNAVSA family. So from the bottom of my heart, I would like to wish everyone a prosperous Year of the Horse filled with fortune, love, and great health. Click on the red envelopes for a small surprise that we’re preparing for you in a few weeks!